With an explosive design and plenty of bang for your buck, Cracker Jack is a blast of a 3-reel pokie from the popular Microgaming developer. It’s got lots of the classic features that games like this are known for, while adding a couple of nice extras such as wilds and multipliers to the mix. Bright and bold graphics will be a big attraction for people who are looking for a traditional Poker machine, although this game is unlikely to appeal to players who want more complicated bonus rounds, or fancy themes. But if straightforward gaming, where the potential for an explosion of prizes is what you like, then Cracker Jack can be a real blast from the past. 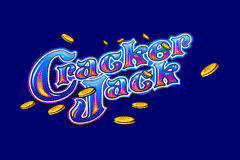 Online pokies tend to follow a particular pattern, and Cracker Jack is no different, although the design is certainly better than many, with nicely-rendered symbols that have something of a 3D effect while the logo literally seems to pop out of the screen, throwing coins around as it does so. The overall layout to the game sticks to conventionality as well, with the reels and logo to one side, and a paytable taking up the rest of it, while just to complete the scene, the control panel is just where you would expect to find it, along the bottom of the game. There’s nothing wrong with sticking to the standard layout however, and it makes the whole thing easy to understand. Players use the control panel to determine how much they want to stake on a spin, with anything from 0.50 to 50.00 per coin being possible, while they can choose to play with 1 or 2 coins. The relevant column on the paytable will light up and with one exception, it doesn’t matter how much is staked, the prizes are the same multiples of the triggering bet. A Cracker Jack firework occupies the bottom of the paytable, with just a single one stopping on the winline being enough to pay a 2x bet multiple back, while getting 2 of them on the line equals a 3x prize. The bar symbols come next, and if 3 of any of them are on the line, it’s going to be worth a 5x payout. Next up is the 10x the stake which players will win for a full line of Cracker Jacks, and above this we return to the bars, with singles, doubles and triples paying out 15x, 30x or 50x the bet respectively. 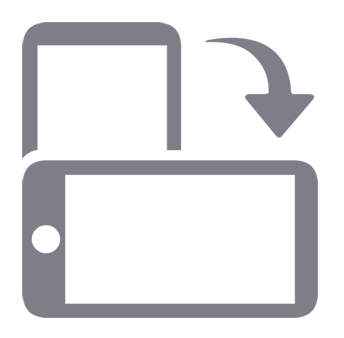 Sticking with the standard for pokies, the ‘7’ symbol is the highest-value conventional icon, rewarding anyone who lines it up across the line with 100x their triggering bet. So far, so normal, but now we find the Cracker Jack logo symbol that has a couple of treats in store when it turns up, starting with its function as a wild, replacing any other to help complete winning lines. So while 2 single bar symbols for example, wouldn’t help players, if the third symbol on the line is the wild, it will still count for a win. Not only that, but the value of that win would be doubled, so in the same example, assuming a 1-coin wager, players would receive a payout of 30 coins rather than the flat payment of 15. If 2 wild symbols and any other come to a stop on the line, then it’s a quadrupled payout, which in this case would equal 60 coins. Another special feature of the Cracker Jack logo symbol is that a full line of 3 across the reels would equal a huge 2000x the bet prize if playing a single coin, but if 2 coins are activated, then instead of the win being doubled, it becomes a 5000x the coin value prize. Will Cracker Jack Set Things Alight? Although the overall theme and design of this game are nothing unusual, it still looks pretty and has some equally attractive payouts when the right symbols fall into place across the single payline. Microgaming are absolute masters at 3-reel pokies and know just what their players are looking for, so they have developed Cracker Jack to appeal to an audience who like things un-complicated, where it’s easy to pick up wins, and where there’s the potential for some massive prizes. So it’s a dynamite game for the right sorts of players, but maybe a damp squib for those looking for the more modern style of Poker machine.